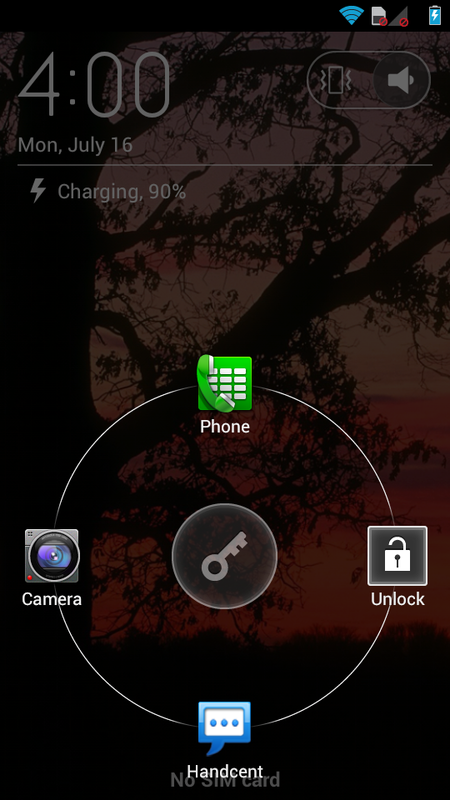 When Ice Cream Sandwich finally arrived for the DROID RAZR and RAZR MAXX, a new lock screen came along for the ride. Aside from the unlock option, this new lock screen had shortcuts to 3 different apps: camera, phone, and text messaging. Now, in most 3rd party lock screen apps, you can customize these shortcuts, however, Motorola wasn’t ready to go that far and left you without options. If you want Foursquare or a Twitter client as one of the shortcuts, you are out of luck. There is one that can be configured though, after a bit of trickery, and that is the text message app. If you are of the variety that uses Handcent or GOSMS or some other text application, there is a way to get it onto your lock screen, as you are seeing in the picture above. What you need to do is cruise into Settings>Applications>All and find the stock text message app. Once found, disable it. Your third party text message app will now become the default app and appear on your lock screen. Verizon's LG Optimus LTE2 to be Called Spectrum 2, Eight Months Later and We Already Have a Sequel?